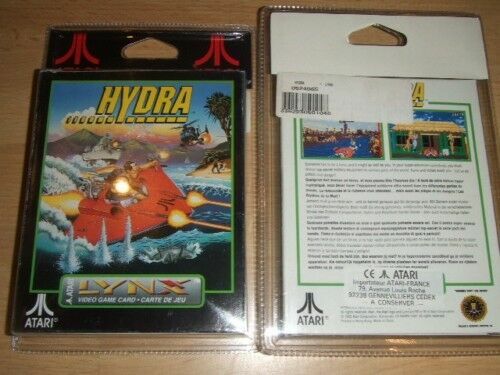 Is the Atari France sticker on the back of Blister Pack Lynx games on the actual cardboard box for the game, or is it on the outer plastic blister pack? I was thinking of buying a couple of games released that way, buy I don't want to get game boxes that have stickers stuck on them if I can help it. Edited by T.A.P., Sat Mar 2, 2019 1:13 AM. My Zarlor Mercenary has the French sticker stuck to the box inside the blister pack. I have absolutely no intention of opening it. I have rarer games but this is my favourite one of them all. Darn. I was hoping it wasn't on the box. Thanks for the info. That'll save me from making a purchase I would regret.